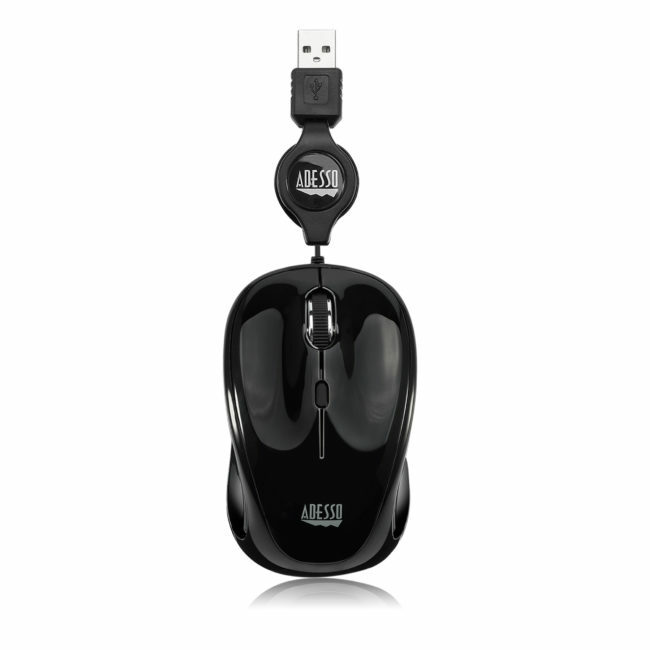 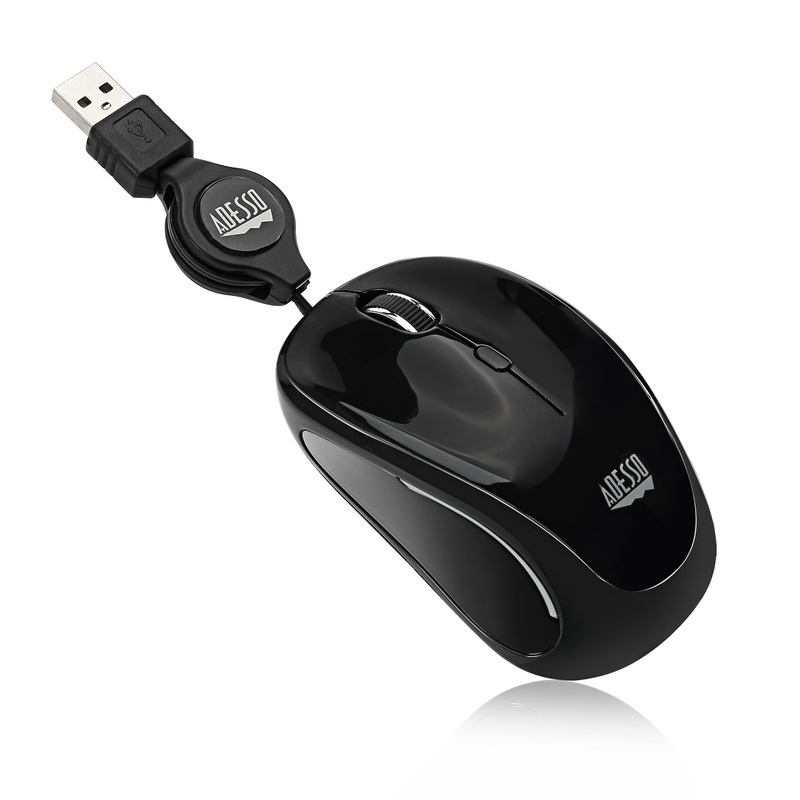 The Adesso iMouse™ S8B – USB Retractable Mini Mouse is the perfect travel companion while on the road, and the perfect desktop mouse when you return, Our innovative design features a built-in scroll wheel to enable you to scroll up or down with pinpoint accuracy and control. 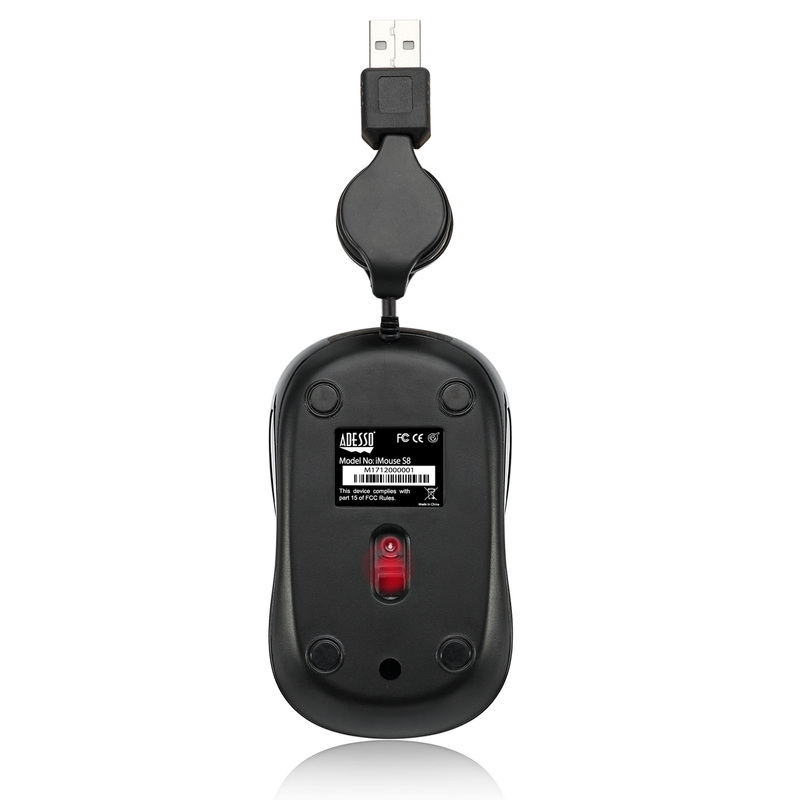 A Retractable USB Cable allows you to expand and collapse the cable for improved mobility. 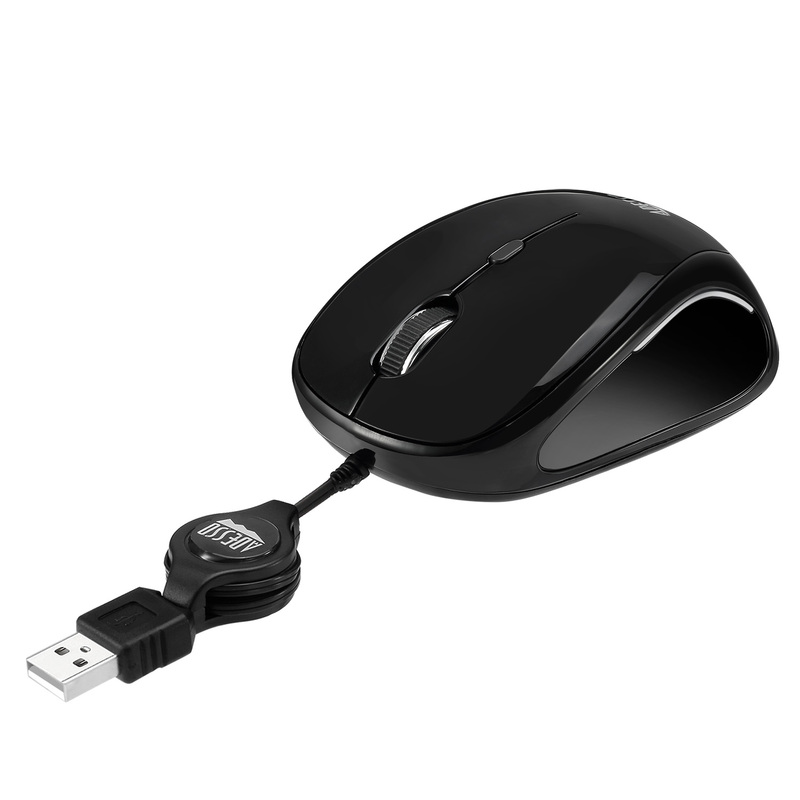 Its built-in DPI of 800/1200/1600 and optical sensor lets you navigate your cursor with better speed, accuracy, and reliability on almost all surfaces. The USB cable is retractable making the tangling of wires a thing of the past. 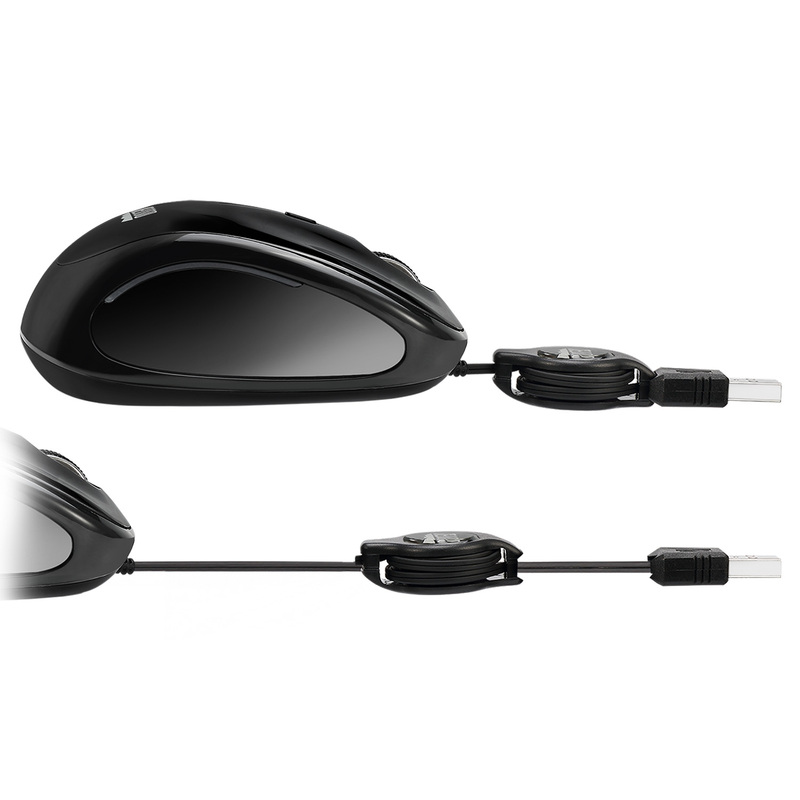 Pull cable at desired length with a maximum pull of 2.5ft. 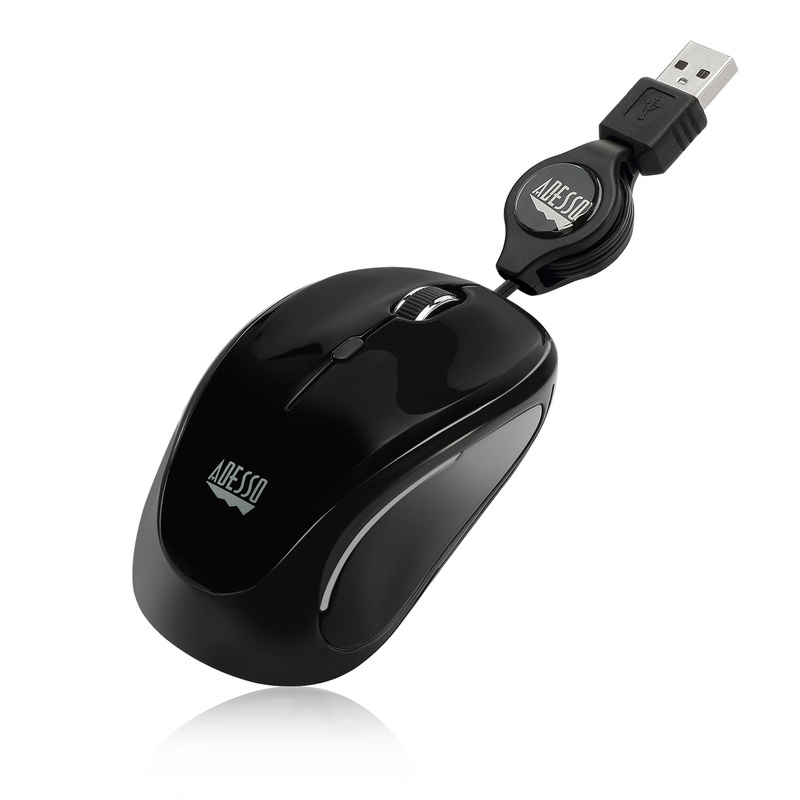 Optical sensor technology precisely and accurately tracks cursor movement and lets you work on most wood, marble and leather surfaces without the need of a mousepad.